The above figures come from the Whiskystats Whisky Index, which describes the value development of the 300 most traded single malt whiskies on the market. Summed up they say that the price-tag of these whiskies climbed by 167% since January 2011. Although just recently in March and April this index dropped by 3,5%, at the moment we see no real reason why this growth should not be repeated in the year of 2017. So it seems like the general direction for the whisky market as a whole is the same, but a closer look reveals some very significant changes in detail. In this article we want to point out the biggest movements of the market and refer to our Monthly Price Updates for more frequent whisky auction insights. Probably no secret to any informed reader is the end of what we called the Japanese Whisky Boom. Over the years of 2014 and 2015 prices for japanese single malts broke through any decent price estimation with an ease. Single bottlings which once were traded for some hundred Euros were suddenly sold for a couple of thousand Euros if not more. Our Whiskystats Japan Index, which describes the value of the 100 most traded japanese single malts, climbed by almost 350% during this period. But during late 2015 and the year of 2016 things calmed down. In January 2016 our Japan Index stayed at around 505 index points. What followed were comparably calm up and downward movements which brought this index to 486 points in April 2017. Hence, the most traded japanese single malts lost around 3,5% in value during the year of 2016. In January 2016 we published an article with the title “What the Whisky World thinks about the Japanese Whisky Boom”. There we concluded that “Whiskystats’ best guess is that prices settle in at a very high but market conform level”. Now, more than one year later, this seems to be the case and we still go conform with this statement. While the years of 2014 and 2015 were dominated by the japanese single malts, it was one particular scotch distillery which attracted all the attention in 2016. This distillery in question was of course secondary market favourite Macallan. The 100 most traded Macallan bottlings gained around 60% in value from January 2016 to February 2017. Together with the end of the Japanese Price Boom this saw Macallan overtaking the japanese distilleries of Karuizawa and Yamazaki in our distillery ranking. In this ranking, Macallan is currently taking the second place only behind Hanyu, another japanese distillery. Our Macallan index reached its peak in February 2017 with little less than 500 index points. The above graph also reveals that the most traded Macallan bottlings lost value in March and April 2017. The month of March saw the index fall by 1,5%. In April the decline was more than 4%. Nevertheless, it seems like the apparent 2016 Macallan Price Rally came to a stop and we wonder how and if it will continue in the upcoming couple of months. These two distilleries are of course no insider tip but very established and much traded on the auction market. But a closer look at their indices shows a very solid growth in 2016. The most traded Bunnahabhain whiskies gained around 10% in value. In the same time our Ardbeg index grew by almost 18%. What both these distilleries also have in common is a comparable constant non-volatile growth over the past couple of years. The secondary whisky market is vivid and ever-changing. 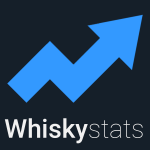 It adds another facet to the single malt fascination and Whiskystats is here to keep you updated on the latest movements and trends.